If you haven’t already noticed, the Northern Territory leads the away among Australian states for its management and promotion of recreational fishing. 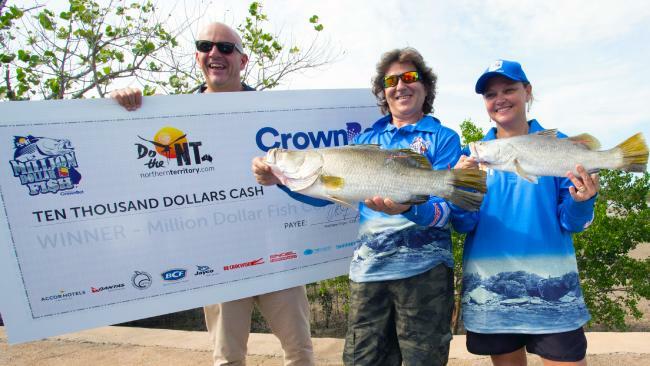 Not only has the NT pulled gill nets out of large tracts of coastal waters, to bolster its prized barramundi stocks, it has also spawned one of the best fishing promotions in the world. The promotion is called Million Dollar Fish (MDF), and involves releasing dozens of tagged fish into various NT waterways for recapture, with the captors eligible for large cash prizes. Seasons 2 (the second year) of the competition kicked off in October 2016 and saw 100 fish released with $10,000 tags in each, and one fish with a $1,000,000 tag. Season 2 ends in February 2017, and a Season 3 is likely to kick off in October 2017, according to Tourism NT, which promotes the competition in conjunction with the NT’s Crownbet. The MDF tagged fish recapture rate has been excellent, so good in fact that some people are scratching their heads as to why other barramundi tagging programs have recorded a far lower tag return rate. As I write there have been seven of the Season 2 fish caught. The season kicked off in October and ends February 28. Season 1 saw 76 tagged barramundi released, with 10 fish recaptured, which exceeded all expectations. The tagged barramundi are released across the Top End, but the best chance for a recapture is believed to be Daly River, Mary River, Darwin and Bynoe Harbours, and the McArthur and Roper Rivers.